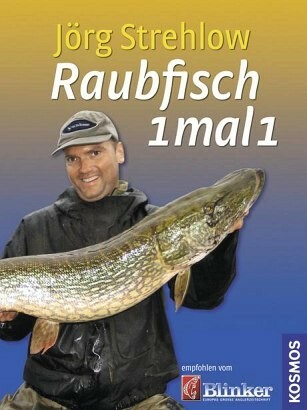 Product information "Raubfisch 1 mal 1"
Angling for predatory fish is becoming easier! Whether pike-perch, pike, catfish or sea trout, predatory fish expert Joerg Strehlow brings the angler to the fish. He explains the best approach and gear for each type of predatory fish. Which predatory fish can be found in which waters? Which lure is the best at which time? Plus the latest developments in the artificial lure market. Joerg Strehlow is one of the best-known anglers in German and long-time author of Blinker magazine. He already wrote the book Angling for Pike-Perch for KOSMOS.